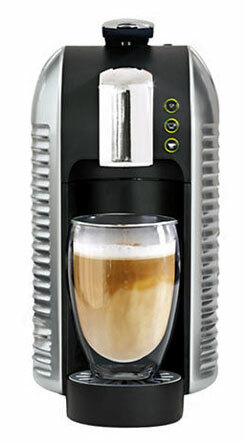 The Verismo – Starbucks coffee makers, one cup at a time. The Starbucks Verismo single-serve brewer. 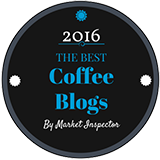 As you have doubtless noticed, coffee lovers are turning more and more to single-serve coffee makers. I get it. I have one of my own, although my principal coffee maker is still a traditional drip brewer. I use the single-serve machine for a couple of reasons. First, when the carafe from my drip brewer is empty, I sometimes crave an extra cup of coffee. Instead of making another big brew, I make a single cup. Less waste. Second, I have one of those single-serve brewers that makes espresso-based drinks like Latte and Cappuccino. And I like to spoil myself with one of those a couple of times a day. When it comes to single-serve machines, there are a ton of choices now. But if you are a fan of Starbucks coffee, you might want to consider one of the new line of Starbucks coffee makers. 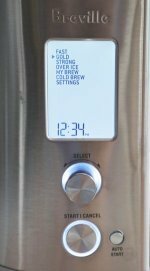 The Verismo line of single-serve coffee makers addresses both reasons I might want to use one. You can use them to make regular coffee, and you can use them to make espresso-based coffee drinks, one at a time. As with other one-cup systems, you simply place a sealed coffee pod in the top of the machine, press a button and you’re done. Your drink is ready in about one minute. Best of all, they have designed the system and blended the coffees to brew coffee that tastes the same as what you buy at a Starbucks coffee shop. 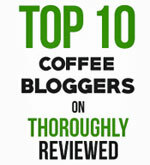 If you are a lover of Starbucks coffees, this is the system for you. There are a couple of other reasons I like the Verismo. First, I like the design. It’s clean, slim and elegant. It also comes in a variety of colors, so you can take your pick according to your kitchen décor. 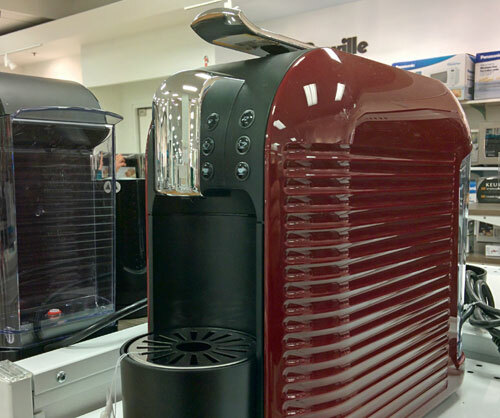 The Verismo doesn’t look like just another clunky appliance. It will actually enhance the appearance of your countertop. Next, it has a very small footprint. Some single-serve brewers I could mention are very wide. They take up way too much counter space. I don’t know about you, but I don’t have a huge kitchen and I appreciate a brewer that both takes up as little space as possible, and looks good as well.